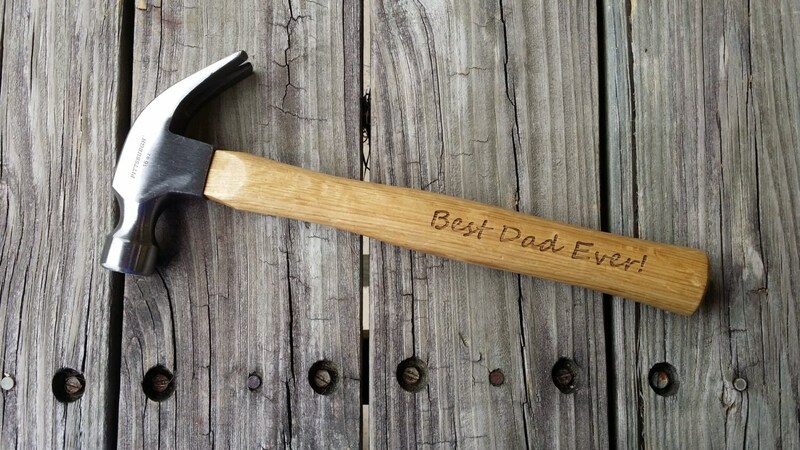 A personalized hammer... what a perfect gift for that special guy in your life! 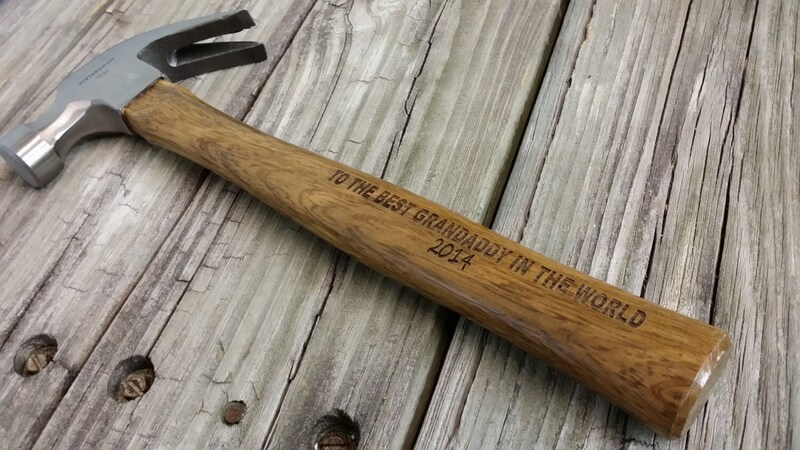 Engraved with the name or sentiment of your choice, this hammer is a unique choice for a groomsmen gift, Father's Day gift or any other occasion that celebrates a special tool-lover. 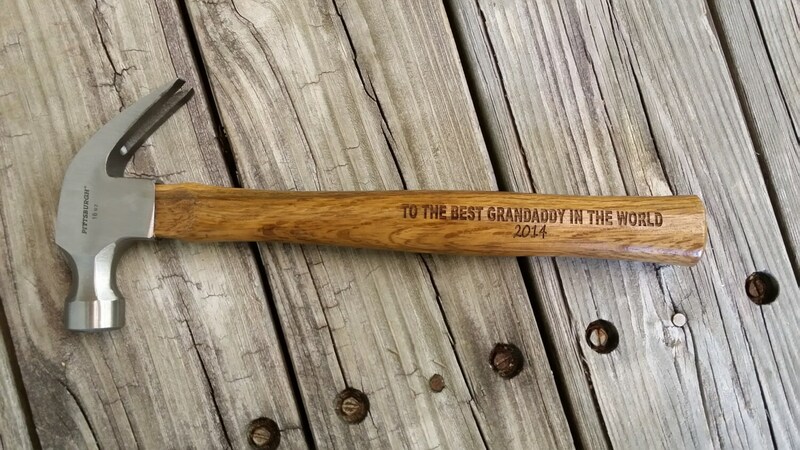 Please note that the lightness/darkness of the wooden handle may vary from the one pictured. 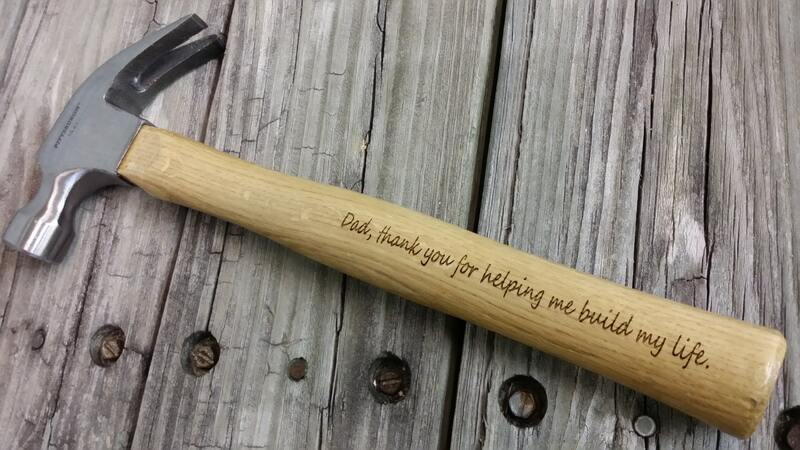 Please be sure to include the personalization of your choice (up to two lines - one side) in your notes at checkout. 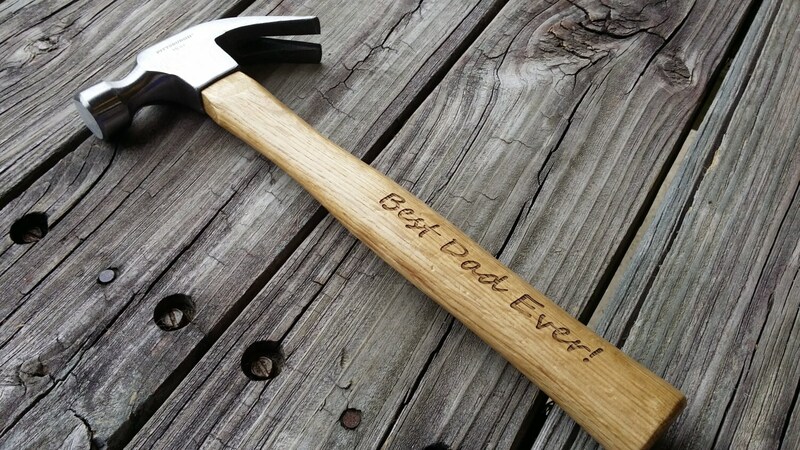 Customized for me and it made perfect Valentine’s Day Gift! Thank you!